If you believe that journalism has a duty to be factual, accurate, and to engage an audience in subjects which have a clear public and civic importance, then data journalism is going to be very important to your work. This is, firstly, because it gives you the skills to more confidently test whether claims have a basis in fact, and, secondly, to source the information that allows you to do that. But thirdly, it opens up all sorts of possibilities for new ways of engaging audiences such as interactivity, visualisation, and personalisation which are not possible without data. Data journalism also makes it easier than ever to engage in investigative journalism, without having to be employed as a full time investigative journalist. Q. What are your top three tips for journalists who want to begin working on data-driven news stories? Don’t start by learning a technique for the sake of it – there are 101 different things you could learn – instead pick a problem that you face regularly, or a story idea that you have, and let that dictate the sorts of data journalism skills that you learn first. Start simple. Learning how to work out the biggest risers or fallers is simple, but really useful, for example. Or learning how to calculate a percentage change. Or learning how to turn granular data into aggregate totals using pivot tables. 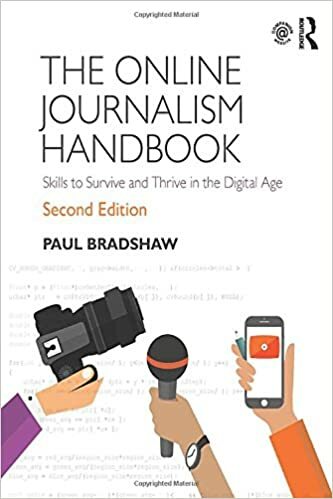 I cover these skills in my introductory ebook Data Journalism Heist because they’re easy to start with and are involved in probably more than half of data journalism stories. Avoid trying to prove that one thing causes another — that’s extremely hard to do, and easy to get wrong. Remember the story is still about people. Sometimes the data journalism part only takes up 10 minutes and the rest of your time is tracking down case studies, or experts. Know when to put the numbers down and pick up the phone. A good chart is useful, but a photo or video of a person affected is equally valuable. Q. What are the three technical skills you would like all beginner data journalists to explore? Spreadsheet skills – whether that’s Excel, Google Sheets or something else – are fundamental. So start with those – and learn about sorting, filters, and pivot tables if you can. Data visualisation skills are useful – not always to present stories: it can help you find patterns that you won’t see in a spreadsheet, and demonstrate them to colleagues succinctly. Avoid complex tools that produce fancy graphics – Datawrapper.de and Infogr.am are both pretty easy to get to grips with and help you work quickly against a deadline. The third technical skill is computational thinking: this is the ability to break down a problem and attack each part logically. It can help you work quickly and learn all sorts of new skills as a data journalist. Q. How do you respond to journalists who think data journalism is only for coders or who feel scared of mathematics? I’d say that most data journalism doesn’t involve coding, first of all. I’d also ask when being scared has ever been an excuse for not doing your job as a journalist. Do you not interview powerful politicians because you felt scared of politicians? Do you not rush to the scene of the accident because you are scared of icy roads? It boggles my mind that journalists wouldn’t accept excuses like those for not doing their job — and yet the lamest of excuses ever — you don’t like maths? — stops you from delivering on one of the most basic promises of journalism: that we will get things right; that we will get to the truth. Get over it. You’re a journalist for God’s sake. Q. You have monitored the evolution of data journalism over the years. What do you think is the future of data journalism? The near future of data journalism is looking qute similar to its early days, when pioneers like Adrian Holovaty looked at what was possible with code, rather than working in spreadsheets. Artificial intelligence – particularly machine learning – opens up all sorts of possibilities for making it easier to identify potential story leads in datasets and collections of documents, and I think we’ll increasingly see that being used to help all journalists, with data journalists helping identify the opportunities and being involved in designing those systems. 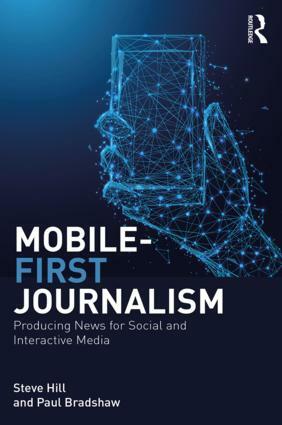 Likewise, we already see data journalism skills being used by journalists more generally, and there being an increased expectation that all journalists are comfortable working with structured information. It’s easy to look around you and think that other people are so far ahead of you, and there is so much to learn. But in reality it’s just the case that there will always be someone who has a skill that you don’t, and there will always be a skill that you haven’t had time to learn. Don’t focus on what you haven’t got – instead focus on what you can do, and build from there. Other people will be looking at your skills, too, and worrying that they haven’t got those. The wonderful thing about modern journalism is that there’s so many new things to try, and so much knowledge at our fingertips to learn them, but that can also make you feel like there are too many things to try! So just learn one thing you want to, and then the next thing, and go from there. Thank you so much for these answers! Sending you best wishes from Pakistan.